It’s a design that goes beyond beauty. Machined aluminum, bonded Corning® Gorilla® Glass and a silicone base are designed to bring you an experience that’s premium in every way. At less than 1" (23.2 mm) thin, XPS 15 is built to move. Enjoy crisp, bold video playback on a 15.6" Full HD 1080p display with 350-nit brightness, up to 75 percent brighter than standard displays. With new 3rd Gen Intel® Core™ processors, and up to 16GB of memory,* XPS 15 delivers the speed and performance you’ve come to expect from the XPS family — all in a surprisingly thin design. With standard NVIDIA® performance-class graphics up to 2GB,* XPS™ 15 delivers a viewing experience you’ll have to see to believe. Always have a front row seat. Experience your favorite movies, music and streaming video at home or on the go with premium sound and an optional built-in Blu-ray Disc™ drive. Instant access to your entertainment. 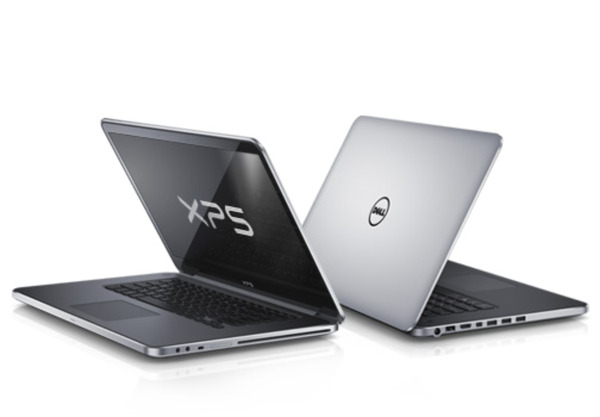 Store thousands of songs, videos and photos with XPS 15’s large hard drive options. To get instant access to your media, choose an optional mSATA solid-state drive (SSD) that can boot up to twice as fast as a regular hard drive and resumes in less than 1 second. * An optional mSATA solid-state drive (SSD) and Intel® Rapid Start Technology* make it possible. Whether you want accessories for work, travel or play, you’ll find what you need at Dell.com. Pick up a portable hard drive, wireless mouse and keyboard, or a protective sleeve while you’re configuring your system to maximize your laptop’s potential. "A productivity and multimedia workhorse."